As each class came to visit the library for their first time this year they were able to play some get to know you games together. I only get to work with students once a week for 30 minutes and often don't get to know them well, so I wanted to start the year off with trying to build some fundamental and lasting friendships. This is Kindergarten's first week in library. We will be playing some get to know you games to learn each others names. The rest of the school will be going over their Road To Success login information and answering questions about the reading program for the year. We will also be going over the theme of the library for the year. Kindergarten through 2nd grade will discuss how living the IB Profile Traits keeps our school library running smoothly, along with specific expectations such as: how many books can be checked out, how long they are checked out for, and other routines for keeping the library in order. Grades 3-5 also will discuss how living the IB Profile Traits make things smoother. They also will be discussing reading eBooks the school provides and reading and voting for the Beehive Nominees for 2018. They will be shown the Voting Form they will be using online this year. Students will watch a video about Mindfulness of Others. 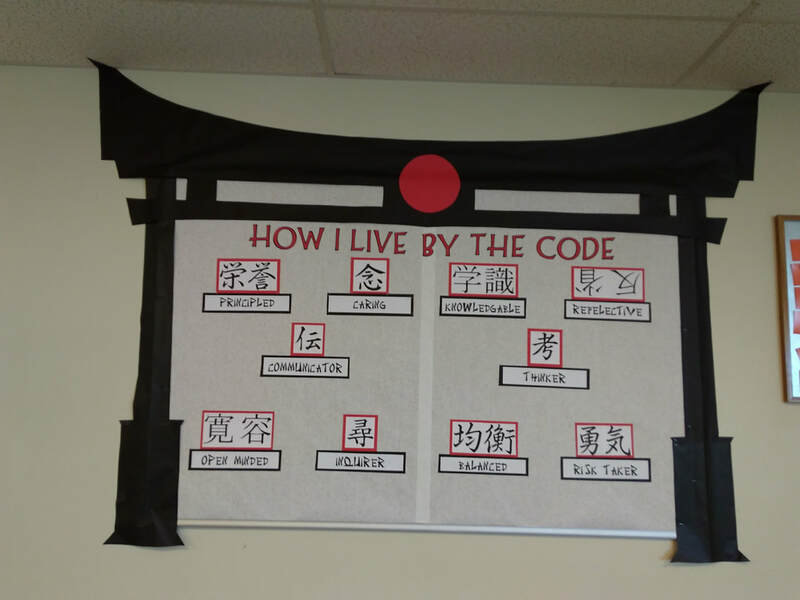 Students will learn about the Bulletin Board with the Tori gate around it and the IB Profile Traits. Students will discuss the importance of being mindful of others. Students will be able to identify similarities and differences in informational and literary text. Kindergarten will learn where literary and informational books are located in the library. 1st & 2nd will be having their first checkouts of the year. 3-5 will review how the library is organized, and how to locate a book on the shelf, as well as other materials in the library. 1st-2nd grade levels will be looking, in partners, at an informational text and a literary text about the same animal. They will be comparing and contrasting the differences and similarities! 3-5 grades will be generating a list of literary and informational texts. Students will compare one another's lists to see if different partners came up with different ideas. Next week we will continue the discussion and look over what they came up with and how it fits into these categories. We will also review with all classes how the library is organized, and how to locate a book on the shelf, as well as other materials in the library. 3-5 grades will be reviewing the list of literary and informational texts they came up with last week and continue the discussion and look over what they came up with and how it fits into these categories and how sometimes literary and informational are found together. Kindergarten will be learning/identifying the role of author and illustrator. 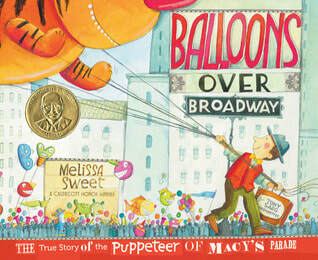 1st-2nd grade will be reviewing parts of a book (front cover, back cover, spine, title page, index, table of contents). 3-5 grades will be working in partners to access the google classroom platform online. This is an area students will be using to reflect on their learning. They will also discuss electronic tools and formats. 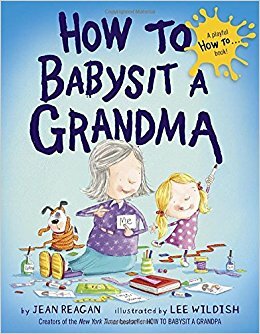 This week in Kindergarten-2nd grade we are finishing reading How to Babysit a Grandma by Jean Reagan. She is one of 2 authors coming to Reading Fun Night Oct 27. As we have been reading we have talked about parts of a book and author and illustrator roles. 3rd grade will be continuing the process of logging in to their school google accounts. 4th grade will be exposed to different books that show the way that nature impacts human life and vis versa for a research project they are doing in their classrooms. 5th grade will be going over electronic resources used for research and will fill out the IB profile reflection.